There is confusion about why the term “cloud services brokerage” is needed when traditional IT services firms already embrace an array of cloud services. We examine why we need the term “cloud services brokerage” in cloud computing and the broader traditional IT services market. Cloud services brokerage (CSB) defines a role and key value propositions for new cloud-enabled IT services offerings that the market is demanding. CSBs have cloud at the center of their solutions and business models, whereas traditional IT services providers are transforming and transitioning their portfolios to include cloud services. CSBs won’t likely offer traditional application and infrastructure services without the presence of at least one cloud service. Many traditional IT services providers are struggling to define their path in cloud services, as they face challenges in delivery, growth and profitability, without undoing their core business, which has been immensely successful and profitable. CSBs do not eliminate the roles that IT services providers have played and will continue to play in the market. Instead, CSBs are focused on providing seamless and flexible access to multiple cloud services (many of which may reduce costs or complexity around consuming multiple cloud services). CSBs will introduce more competition and place more pressure on existing, and sometimes incumbent, providers to reduce scope, scale and complexity in their offerings. Understanding the value that a CSB provides by consuming multiple cloud services gives internal IT leaders who are driving cloud adoption a focused way to understand what they should be focused on. Also, it gives traditional IT services providers guidance on which IT service roles will be most affected by cloud. Many traditional IT services providers are pursuing cloud services as new offerings; however, these are not the same roles that will drive the growth of a composite CSB market. A CSB plays a specific role within the cloud services value chain and is not required in all instances. Sourcing, vendor managers and CIOs: If cloud services are the center of a desired solution, then use the CSB select/evaluation criteria versus the traditional IT services criteria (see “Essential Provider Selection Criteria to Use When Outsourcing the CSB Role”), because the CSB attributes address a different set of requirements. When planning your overall cloud strategy, taking into consideration the most effective and efficient acquisition and support model should include the option of leveraging a CSB, especially if you plan to consume more than three different cloud services. Develop internal IT skills that are focused on business process management and how a cohesive hybrid IT environment can deliver expected business results. CSB is a term that describes the market, model and role that support the intermediation between cloud services and cloud consumers. This intermediation, and a definition of the term, is described in detail in “Cloud Services Brokerage is Dominated by Three Primary Roles.” Also brokerage, as a business component, emerges whenever a service provider-service consumer model is established (see “The Role of CSB in the Cloud Services Value Chain”). Stock brokers, real-estate brokers, travel brokers and third-party advisory/intermediary firms represent simple and well-known examples of a brokerage. The existence of brokerage models is not in question. However, the issue arises in the IT sector, when trying to compare the brokerage models with traditional IT service models. This research examines the reasons that “brokerage” as a term and a concept in cloud computing is necessary and useful. It will allow us to distinguish when traditional IT service language and approaches are good enough versus when cloud services brokerage language is more appropriate (see Note 2). This research offers traditional IT services providers and end-user organizations guidance on how new CSBs will position themselves in the market to differentiate from the traditional IT services provider. One complaint that brokerage naysayers advocate is that the language of brokerage (e.g., aggregation brokerage, integration brokerage and customization brokerage) is already covered by traditional roles such as technology aggregator, solutions aggregator, system integrator (SI), independent software vendor (ISV) or distributor. They argue that there is no need for new terminology to describe what is already being done by these providers. Some traditional aggregators even go so far as to say they do not like the term “broker” because it minimizes their value into something that can be quickly commoditized. We respectfully suggest that traditional language is not always appropriate when applied to cloud-based solutions (see Note 1). The differences in the cloud model identify significant differences in how aggregation, integration and so forth must be done to deliver on the cloud computing value proposition of agility, efficiency, new capabilities and reduced cost. Traditional IT services providers often have access to, and can make direct changes to, specific technologies, which is not necessarily true in cloud delivered services (such as software as a service [SaaS], platform as a service, infrastructure as a service, and business process as a service). Because cloud providers do not generally allow a third party to have general access to all back-end systems, code, technologies, or even visibility into how the service is built or architected, the ability to have (implementation or integration) control, is severely limited. This represents a major difference, for example, in how one must approach integration in the cloud versus on-premises, custom-built implementations. In the cloud brokerage world, the new terminology is intended specifically to introduce the concept of three or more independent parties (provider, consumer and broker) working together, where no one of them has complete control over the actions of the others. Brokers intermediate rather than control; Traditional SIs, ISVs and aggregators control more often than intermediate. In the cloud, intermediation is more about coordinating the inputs and outputs of multiple services, rather than about controlling how their technology is implemented. This highlights the core difference. Using the traditional IT services language can imply that a certain level of technology control or assurance is available in the cloud when it is not. Neither the integration brokerage nor the consumer controls the technologies or the business workings of the original cloud service providers whose services are being integrated. In this way, cloud brokerages are responsible and must manage the risk of failure, low service quality, inadequate security assurance, and liability between providers and consumers — all through a relationship in which the brokerage is the customers’ single point-of-contact for multiple cloud services, even where they have little control over certain outcomes. However, at no point does Gartner suggest that cloud services brokerage should replace traditional IT services or minimize them. Instead, we offer CSB as a set of roles (within a composite CSB market and using CSB models) that can be adopted by traditional IT services companies whenever they need to add additional value to cloud services on behalf of their customers (such as hybrid cloud solutions, or integrated cloud services). For example, the SI role and the CSB aggregation role are not the same, but they represent complementary approaches to solving customer problems in managing products or services from multiple providers. A CSB must interact with at least one or more cloud service, otherwise the term is inappropriate and the CSB would continue to be considered a traditional IT services provider because it was providing integration services. Also, other differences are worth noting. Gartner has identified six key differences that make CSB something more and less than traditional IT services. Cloud brokerages will have buyers ranging from individual consumers to small or midsize businesses (SMBs) and large enterprises. 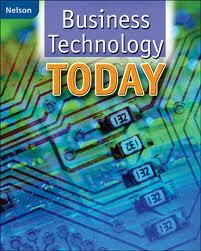 This range of buyers is seldom served by traditional IT services providers exclusively. In traditional IT service scenarios, the SI usually has access to, and sometimes complete control over, the technology within the provider solutions that they are delivering. The potential removal of that control places different burdens on the integration brokerage, which has to integrate or aggregate services it has little ability to change. CSBs may use different technology than the traditional system integrators employ to deliver solutions to their customers. These technologies not only require different skills to use, they apply to different kinds of integration scenarios. Federation, API management, governance (for policy management and enforcement), and offline asynchronous access are among the simple differences. Cloud brokerage technologies for integration and governance in shared multitenant environments account for more than half of the difficulty in integrating cloud services, as opposed to on-premises technologies. Although the relationship management side of purchasing cloud services will remain relatively the same as traditional IT purchases, the CSB model will lessen the need for high-touch, high-trust relationship-intensive models when it comes to contracting with all the individual cloud service providers that customers choose to work with. Cloud contracts will typically involve multiple companies that are given assurances only through the contract that may rely on outcomes to manage. In other words, a cloud integration brokerage must integrate services where the only guarantee of performance or availability is through the established SLA agreed on in the customer contract or the brokerage agreement. Although this happens at times in traditional technology integration, in the cloud, the added restrictions makes it much more difficult to get detailed information about the system underlying the services being integrated, which can cause significant risk for CSBs. Establishing who is to blame for a problem is an extraordinary challenge for customers and brokerages alike. It is critical that CSBs keep their focus on demand/experience fulfillment, and responsiveness to incidents/issues to ensure that the relationship is consistently supported by a positive experience. Selling through and with other channels adds a layer of complexity to the CSB role. Determining the best way to market will drive increased adoption. However, in the cloud service value chain, the suppliers and distributors will often be new entrants to the market with relatively unknown capabilities and brands. This may be the most important reason for having new terminology. New cloud specialists that do brokerage, integration, customization and aggregation do not necessarily come from the traditional IT services world and do not associate themselves with it (see “Who’s Who in Cloud Service Brokerage”). They approach customers with different marketing messages. They have different technical and business-related skills, establish new value propositions, generally have well-established partner ecosystems dominated by third-party cloud-native IT providers, demand new types of relationships (with providers and customers) based on cloud-centric innovation and business models, and use new technologies and integration scenarios to provide cloud-based solutions. Cloud computing is moving fast (“Forecast: Public Cloud Services, Worldwide and Regions, Industry Sectors, 2010-2015, 2011 Update”). The influx of new cloud specialists is helping in the adoption, however there is still a significant skill gap for providers that have cloud experience and internal domain expertise for implementing and integrating multiple cloud services (see “Cloud Adoption at Risk Without Big Channel Investments”) broadly across the market. 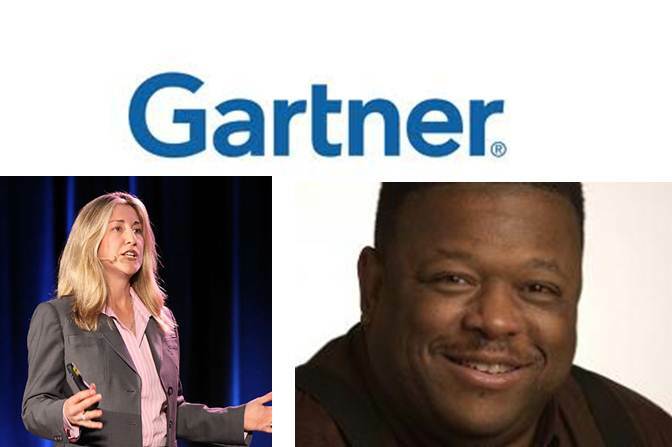 Gartner predicts that the number of CSBs that will go for scale and large market reach will be in the hundreds worldwide, and include communications services providers, IT wholesale distributors, retailers and large direct market resellers (to name a few) because they have the existing customer relationships with a majority of the SMB market and are pushing for greater relevance in cloud. This is not to say that others won’t become CSBs, which are more locally focused on vertical markets or segments and keep their offerings to a tightly managed set of services. Companies taking on the CSB role are expected to handle certain scenarios that would previously have primarily been the domain only he traditional IT services providers. This suggests that there is some urgency to either capture market share in the cloud for those original providers before new companies do it, or that traditional providers will likely acquire the new cloud specialists that are brokerages, to fill out their cloud portfolio. One other option is that companies need to do it before the original cloud service providers acquire new cloud specialists to fill out their new cloud channel ecosystem. The relationship between CSBs and other types of IT services sourcing and delivery models can be confusing. In particular, the question is often asked: What is the difference between CSBs and traditional IT services offerings? For clients who have followed Gartner’s cloud research, certainly both terms include similar concepts, since brokerage deals with aggregation, integration, custom development, or even governance/management of cloud services are also attributes of traditional IT services providers’ offerings. The answer for IT providers and buyers of cloud services lies in examining what is different enough about cloud computing to warrant the CSB term. Service providers need a mental framework for deciding how to migrate services to the cloud, while consumers of cloud services would benefit from the same mental framework to be used in helping them decide how to pick the right cloud brokerage providers. Please not that the above text is not a complete version of the research note most of the six key differences have been edited. The traditional approach to managed services is to create a thin retained layer or carve out responsibility to the procurement capability for oversight and governance of the Service Provider. With the Cloud new Service Delivery models will evolve and the role of the Cloud Service Broker will be to stitch the end-to-end service value chain together. The complication with these new ways of working is that the CSB has limited control of the service provided to the Business. I do not agree with Tiffani / Daryl that the answer lies in a Service Level Agreement with defined penalties. This will not enable the CSB to provide predictable service levels. 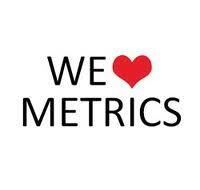 What is required is a refresh of the way that Service Management Practices will enable the Business, Retained IT and the CSB to review Business Outcomes instead of service metrics and process measures. For example – the cloud enables elasticity and can provide capacity on demand to process a significant volume of invoices during peak periods where previously they may have been stuck in the system or a backlog built up. For me, a Cloud Service Model means that utility / warranty (defined in the ITIL 2011 Edition Service Strategy core volume) is delivered from a “Black Box” so rather than focus on managing the CSB the Service Management role will need to become a hybrid manager and focus on enabling Business Change. Most service organisations already have a Business Relationship Manager role, however these individuals will need to shift their attention away from just Portfolio and Demand Management more towards presenting options to the Business that demonstrate how the Cloud platform can bring new solutions to the table. 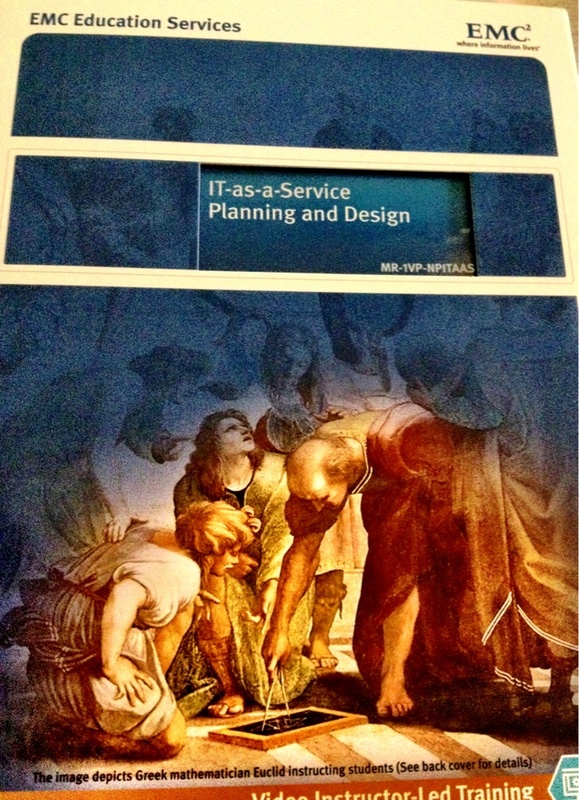 Will “IT as a Service” be a lifeline for the Internal Service Provider? These ISPs are organisational entities that perform a defined set of activities to create and deliver services that support the activities of Business Units” (page 72). In my experience there is a culture of complacency within Internal Service Providers who have been in a monopolist position for far too long and therefore slow to change. 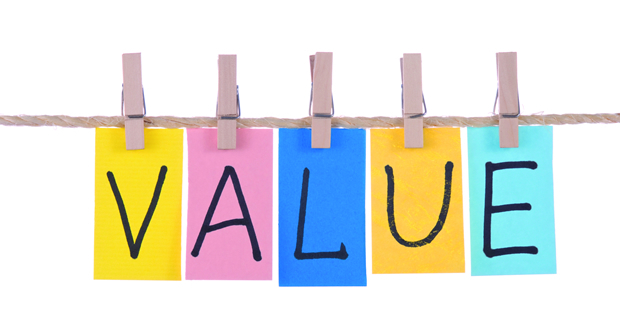 Internal Service Providers are coming under increasing pressure to demonstrate that they can deliver value whilst responding to business needs in a flexible and responsive manner. What is IT as a Service and how can it help Internal Service Providers? IT as a Service is the transformation of IT to a more business-centric approach, focusing on outcomes such as operational efficiency, competitiveness and rapid response. This means that the Internal Service Provider must shift focus from producing IT services to optimizing production and consumption of those services in ways consistent with business requirements. IT as a Service (ITaaS) is a highly virtualized private cloud offering where customers / users can select from a published menu and self-provision IT services on demand. (f) start using the services. For years, the promise of running IT departments like an internal service provider in an IT-as-a-Service (ITaaS) model has been elusive. Frameworks such as ITIL have provided an impetus for this service mentality, but with an emphasis on IT operations and less focus on infrastructure and application development. The result was still a siloed IT environment held together by heroic efforts. The majority of IT spending is dedicated to “Keep The Lights On” activities, hindering IT’s ability to keep up with the pace of business innovation. Enter virtualization and cloud computing: essential building blocks for the agility, flexibility, and “services” focus that IT needs to deliver to the business. Nearly 75 percent of [survey] respondents believe that the shift to IT as a service (ITaaS) will take place in the next three to five years. Many companies are finding that it is simply too costly to maintain internal comprehensive IT departments. As a result, many CFOs are looking to “IT-as-a-service” – IT resources such as email that are accessed as services – to help lower the total cost of ownership and reduce downtime. Considering that the use of IT-as-a-service can save your company significant costs, while helping you to remain focused on what you know best–how to run your business–what could be better? Your organization will gain technology peace of mind with always-on IT-as-a-service, and significantly reduce business risk in the process. At this point in time, there is not an IT as a Service product that you can buy from one vendor. 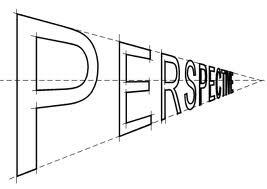 Therefore careful attention needs to be paid to every layer of the proposed reference architecture to make sure that the selected products fit together. Why struggle with every change in a vacuum when you can benefit from the experience of others? The pursuit of ITaaS is a great example of when this makes perfect sense. IT as a Service is a delivery model that leverages cloud infrastructure to enable business users to be more agile through readily-consumable IT services that have transparent prices and service levels. While it is built on technology, ITaaS isn’t a technology. It is an operational model that transforms our traditional approach to IT into a services-based world. So what does all this mean for the Internal Service Provider organization? It is imperative that the Internal Service Provider moves from a focus purely on IT service levels to enabling the provisioning of business services. The Internal Service Provider must address the significant People, Process and Tools changes required to establish the foundations of the “IT as a Service” model. By doing this the Internal Service Provider will become non-optional. I believe that Internal Service Providers will eventually be forced to adopt “IT as a Service” as the only way of staying relevant to the Business. 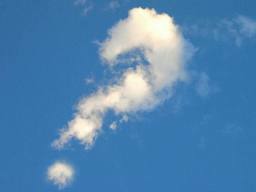 What is my Cloud Computing Strategy? At its most basic level, Cloud Computing allows users to obtain computing capabilities through the internet, regardless of their physical location. 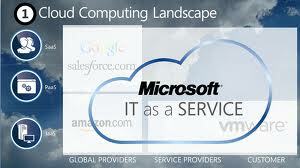 Computing clouds are in essence online huge datacentres containing thousands of servers hosting web applications. Cloud services from infrastructure to complete business processes can be purchased through web interfaces and turned on and off as they are needed. Most Business and IT senior executives are aware of the benefits that cloud computing can bring – capital light, lower run costs, agility and faster time to market – all enabled by flexible access to applications and processing power on a pay-per-use basis. Red Flag 1 – The discretionary (Variable) and non-discretionary (Fixed – Keep The Lights On) cost management pressure that business place on IT will increase to become the new normal. In addition use of an IT resource no longer depends on having the capital to own it. The business is able to source, scale and deliver compute capacity unbound of physical location or labour thanks to the cloud. Red Flag 2 – Business Units are already choosing third party cloud vendors and bypassing the in-house IT function, which they find to be too slow, bureaucratic and difficult to work with. While IT remains cautious, business users have fully embraced Cloud based services. Cloud usage in the enterprise today is widespread and uncontrolled, with security and audit implications. It is important to revisit the IT Strategy to incorporate the cloud and the new services it will enable. 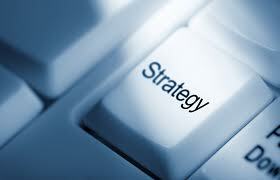 With this in mind what guidance is available to help formulate the strategy? 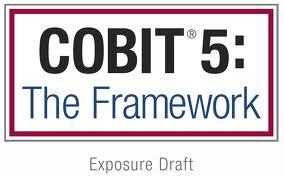 The most common frameworks are ITIL, ISO 38500 and COBIT 5. Figure 4.3 The strategy management process (page 138) illustrates the Assessment, Generation and Execution phases. “The objective of ISO 38500 is to provide a structure of principles for directors (including owners, board members, directors, partners and senior executives) to use when evaluating, directing and monitoring the use of IT in their organizations. 1. Evaluate the current and future use of IT. 2. Direct preparation and implementation of plans and policies to ensure that the use of IT meets business objectives. 3. Monitor conformance to policies and performance against the plans”. COBIT 5 introduces a Governance Domain which has 5 EDM processes as described in my previous post. In summary the guidance (What) provided by these three frameworks will help design and establish a robust governance framework; however there is limited (How) detail around the specific approach to take for Cloud enabled services. Do we continue to build out our own computing infrastructure? IT must determine if the computing infrastructure is expensive and too inflexible because a highly virtualised and well managed infrastructure saves money. Some legacy applications will remain core and do not lend themselves to a cloud strategy (e.g. SWIFT transactions) however applications approaching end of life should migrate to avoid further investment. Which parts of the Business do we move to the cloud? IT should consider the cloud for new applications or business processes as requirements evolve. The cloud can significantly reduce time to market when rolling out new functionality and processes. What type of cloud deployment do we use? Public Cloud: scalable bandwidth shared with multiple tenants. Hybrid Clouds: Mixing Public and Private Clouds is the preferred solution for the business because it provides the best balance of flexibility and risk management. How must our governance framework evolve? IT must retain control over which services are offered and managed and business units will have a say in getting the technology they need. How do we protect sensitive customer information? New measures will be required to help ensure that while data can be accessed anywhere and anytime, businesses do not breach data protection laws. What are the actions needed to create the cloud enabled business? IT must partner closely with business customers across the enterprise to understand and meet their needs in a responsive and cost effective way, while also helping to manage and integrate private, hybrid and public cloud based services alongside existing core business applications and technology. Appoint a Cloud Leadership Team to drive change across the organisation in a co-ordinated effort that is led by Business and IT champions who aggressively push communications. The team should develop a position on how the cloud will impact the business – create new opportunities, new channels to market and new competitive threats – and how the technology can accelerate existing needs. The Cloud Leadership Team will need to specify which changes are going to have the most profound impact and prioritise these initiatives based on business benefit, difficulty of migration and any required investment spend. IT must develop and implement a roadmap to replatform or replace existing business applications over time and then to build new applications using cloud based platforms. As IT implements its new cloud strategy the IT function has a great opportunity to transform its role and establish itself as the business’s supplier of choice. IT will require new skills and capabilities, for example hybrid managers who are close enough to the business to fully understand their issues and how cloud computing can respond to meet their needs quickly and cost-effectively. These hybrid managers will manage all the current and future cloud vendors and integrate cloud services on behalf of the business. IT will act as the key service interface between the business units and the various suppliers. Ensuring seamless data integration between cloud and non-cloud services is a critical element of IT’s new role. IT will need to assess and mitigate the risk of “lock-in”. With Infrastructure as a Service (IaaS) cloud makes it easier to migrate relatively smoothly to another provider. But with Software as a Service (SaaS) data is stored on the supllier’s servers making it difficult to disentangle. As companies start shifting computing tasks to outside providers in the cloud, intermediaries have emerged to help them do it. If you want to consume SaaS, access an Information store or other services then the Cloud Service Broker provides a single interface and can also offer managed services, professionbal services or Business Process Outsourcing. The Cloud Service Broker sits between public cloud services and the customer taking the commodity like cloud services and customising them to be more specific to the customer. CSB also allows the business to extend their control over their applications and data into the cloud. 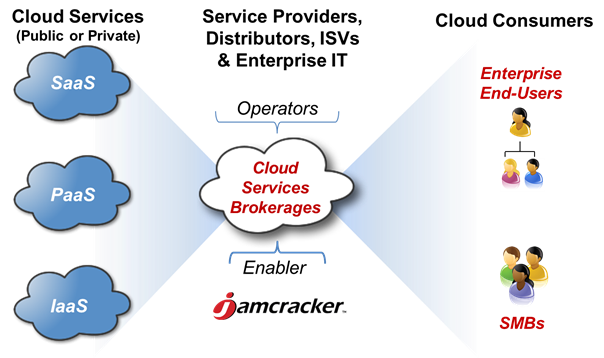 The Cloud Service Broker adds value when it is aggregating multiple services. Cloud Service Intermediation: An intermediation broker provides value added services on top of existing cloud platforms, such as identity or access management capabilities. Aggregation: An aggregation broker provides the “glue” to bring together multiple services and ensure the interoperability and security of data between systems. Cloud Service Arbitrage: A cloud service arbitrage provides flexibility and “opportunistic choices” by offering multiple similar services to select from.